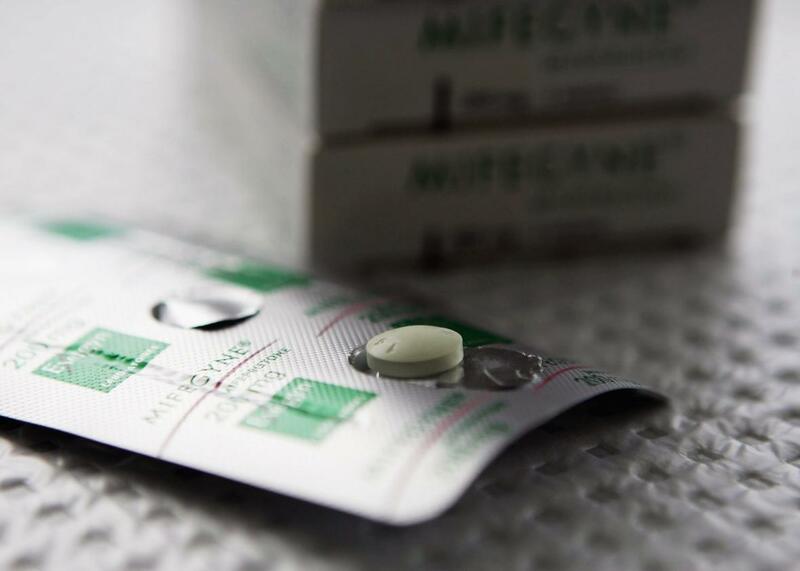 Medication abortion became less safe after Ohio forced doctors to follow outdated protocol. Mifepristone, one of the drugs used in medication abortion, is pictured on February 17, 2006 in Auckland, New Zealand. TRAP laws are called that both because they represent “targeted regulations of abortion providers” and because they are sneaky and dangerous. On the surface, they can seem perfectly reasonable: Who could object to making sure abortion clinics meet the safety requirements for ambulatory surgical facilities? But dig a little deeper, and you discover that TRAP laws’ medical rationale is spurious, and that they are designed for the sole purpose of making abortion less accessible. A 2011 Ohio law that requires doctors to follow FDA protocol for medication abortions is a classically devious TRAP law. Requiring doctors to follow FDA recommendations sounds sensible—until you learn that doctors routinely prescribe medications off-label in accordance with the most recent scientific evidence about their optimal efficacy and safety. In the case of medication abortion, the FDA originally recommended in 2000 that doctors prescribe 600 milligrams of mifepristone (which causes the uterine lining to shed) followed two days later by 400 micrograms of misoprostol (which causes contractions of the uterus) within 49 days of a woman’s last period. But more recent research indicates that doctors should prescribe a lower dose of of mifepristone and a higher dose of misoprostol, and that they can do this safely up to 63 days after a woman’s last period. This evidence-based protocol is effective 95 percent to 99 percent of the time, compared to the 88 to 92 percent efficacy of the 2000 FDA protocol. A new study of medication abortion in Ohio before and after the 2011 TRAP law was passed indicates that, unsurprisingly, the required FDA protocol resulted in “a greater need for additional intervention, more visits, more side effects, and higher costs for women relative to the evidence-based protocol.” Researchers from the University of California, San Francisco and other institutions looked at the chart data from 2,783 women who obtained medication abortions at four clinics in Ohio between 2010 and 2014. They found that women who got their abortions after the law was passed were “three times as likely to need additional interventions to complete their abortion compared to women in the prelaw period.” (The additional interventions usually took the form of an additional dose of misoprostol.) The percentage of women who reported side effects almost doubled, from 8.4 percent before the law to 15.6 percent after the law. “Women got out to the parking lot, and they were vomiting and they had to come back [to the clinic] and take the dosage again,” Ushma Upadhyay, the lead author of the paper, told Rewire. Additionally, the percentage of abortions that were medication abortions plummeted from 22 percent in 2010 to 5 percent in 2014, and the average cost to each medication-abortion patient rose from $426 to $551. In March of this year, the FDA finally updated its medication abortion protocol to match current best practices, but don’t think that means that women in Ohio are out of the woods. “This protocol may also become outdated in the future,” the researchers write, “and health providers in Ohio will be required to provide care based on legislation, rather than the most up-to-date research and evidence-based practice.” The results of this study perfectly illustrate that when politicians tell doctors how to prescribe medicine, patients lose out.